Tech just keeps on coming with the latest push being the development of artificial photosynthesis if the Science Daily article proves to be the real deal. As posted in an earlier BRT post, Goin' Green, the PS process itself was only discovered about one year ago, something this blog predicted would lead to much bigger things and now it has. 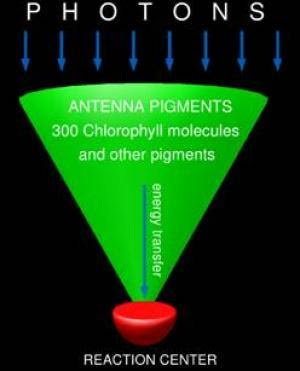 “To fully understand how the energy-transfer system in photosynthesis works, you can’t just study the spatial landscape of these pigment-protein complexes, you also need to study the electronic energy landscape. This has been a challenge because the electronic energy landscape is not confined to a single molecule but is spread out over an entire system of molecules,” Fleming said. “Our new 2D electronic spectroscopy technique has enabled us to move beyond the imaging of structures and to start imaging functions. This makes it possible for us to examine the crucial aspects of the energy-transfer system that enable it to work the way it does.